Andi B. Goode: Holy miniskirts, Batman! Gosh, it seems I forgot all about blogging, last week. 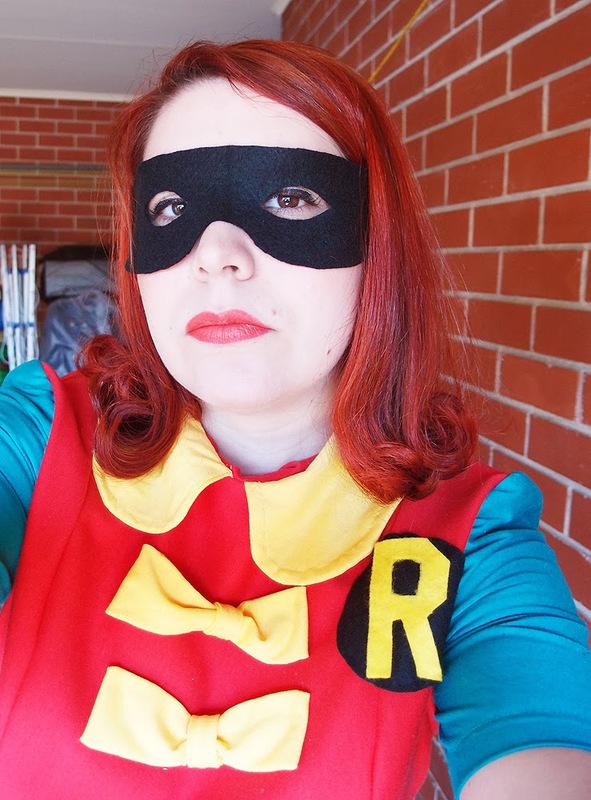 I was concentrating on getting my costumes done for Supanova this past weekend. But, now it's all over for another year, and you all get to see the results of last week's stress (which I very vaguely hinted at in this post). Some of my ideas along the way. The white parts on the first dress would have been green. And the final result! I'm so proud of this dress, which is pretty rare for me, so this post is a bit more picture heavy than usual. 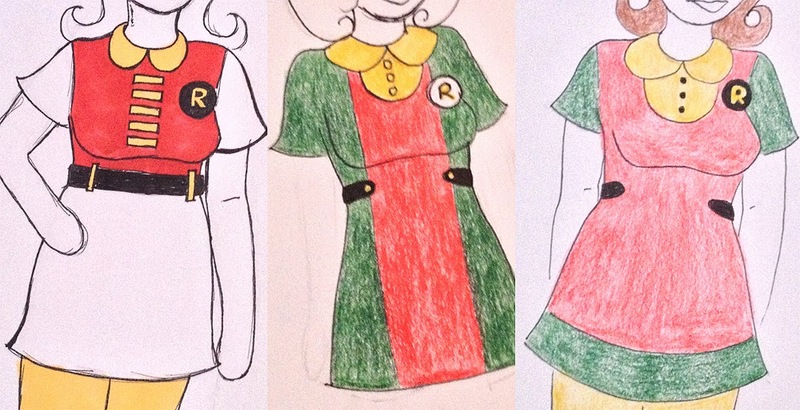 I was initially going to do a yellow bib-front with the Peter Pan collar but I decided on bows to reference the laces of Robin's tunic, instead. The mask and 'R' were both made using patterns I found on a Batman forum - it didn't occur to me until the nearly last minute to see if anyone had posted a pattern online. Ha. Trying out some Burt Ward as Robin poses. The boots were the most difficult part of the costume. I looked at so many tutorials for spats (my first idea after I couldn't find green boots) and not one single one of them made sense to me. After many tears and yelling 'I'm never sewing ever again!' 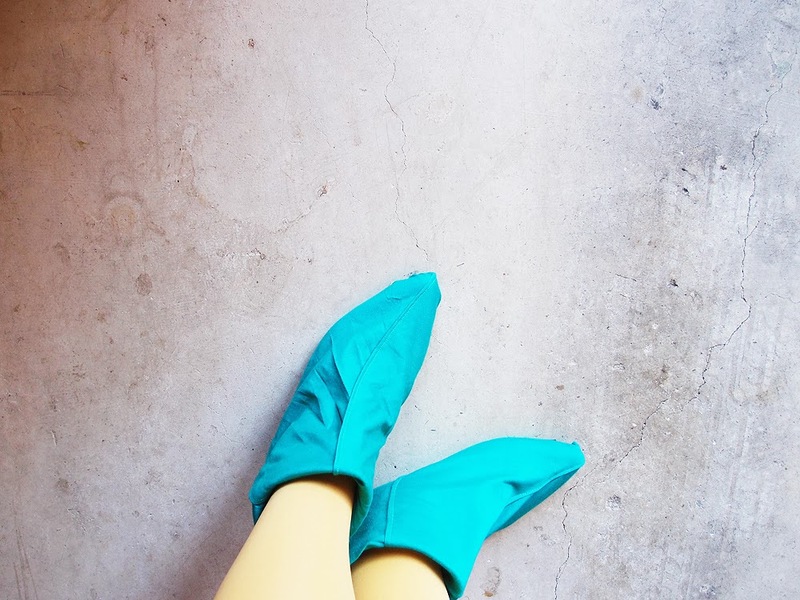 I just winged it and made slip covers that I stuck to some boots with electrical tape. They're not perfect but they did the job. Testing out another Robin pose. Heh. 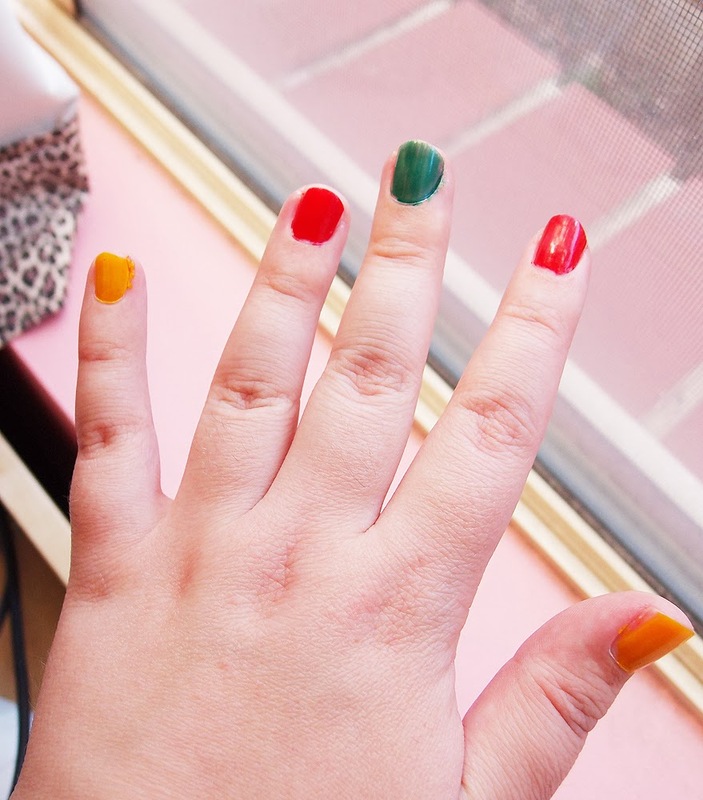 I painted my nails to match. The Dynamic Duo together! 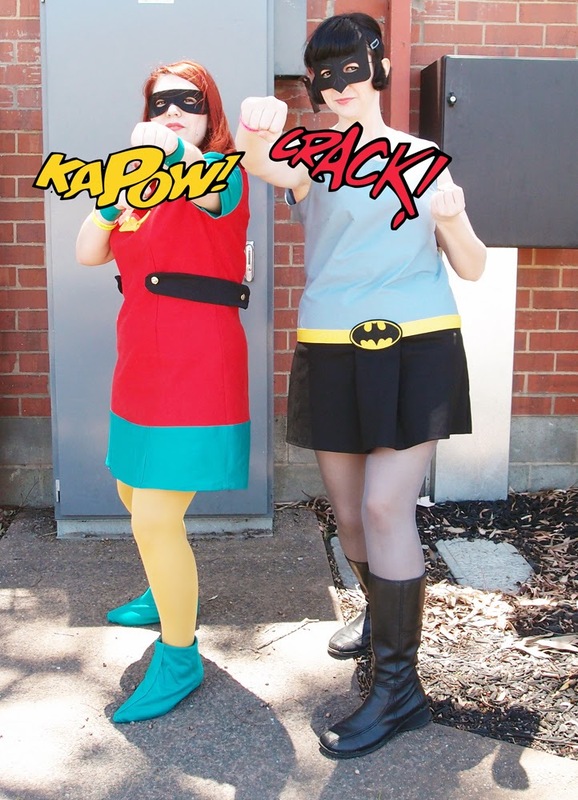 My friend Kate is Bat-Ma'am (she coined the alternative name herself) to my Girl Wonder. 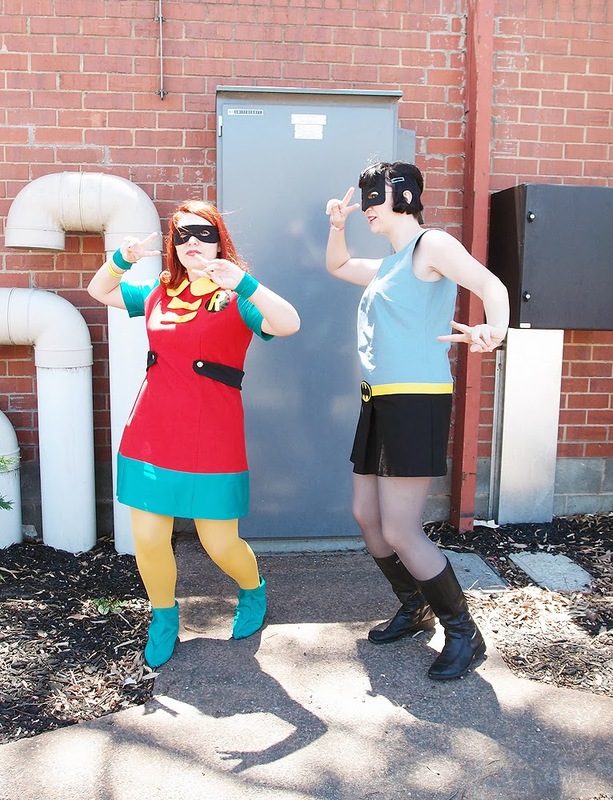 Kate decided we needed a backstory so our Bat-Ma'am and Robin are from an alternative universe where Barbara Gordon was born to the Waynes (and Bruce to the Gordons) so she became Bat-Ma'am and Dot Grayson, still an orphaned ex-acrobat, is her Robin. 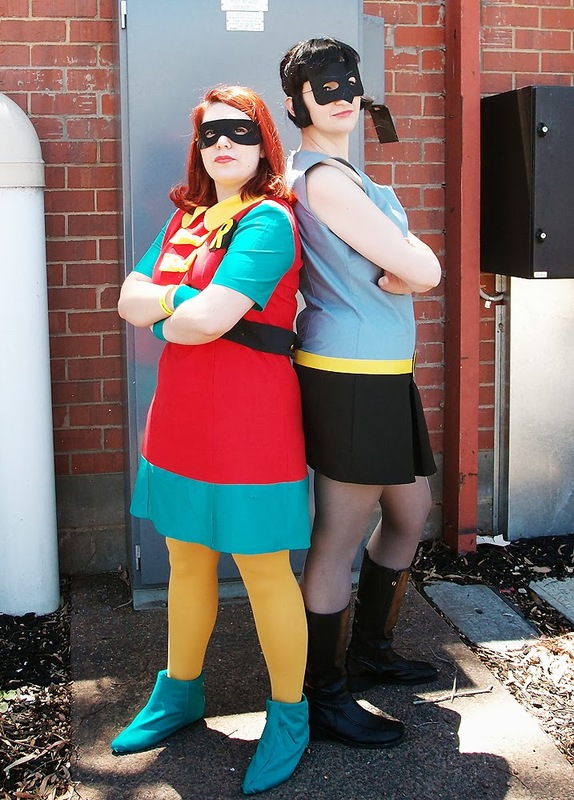 Two of my inspirations for my Robin dress were Darshana and Betty Felon who have both done awesome Robin cosplays of their own. I also spent a lot of time scouring google for old magazine scans and searching 1960s dress patterns on etsy. 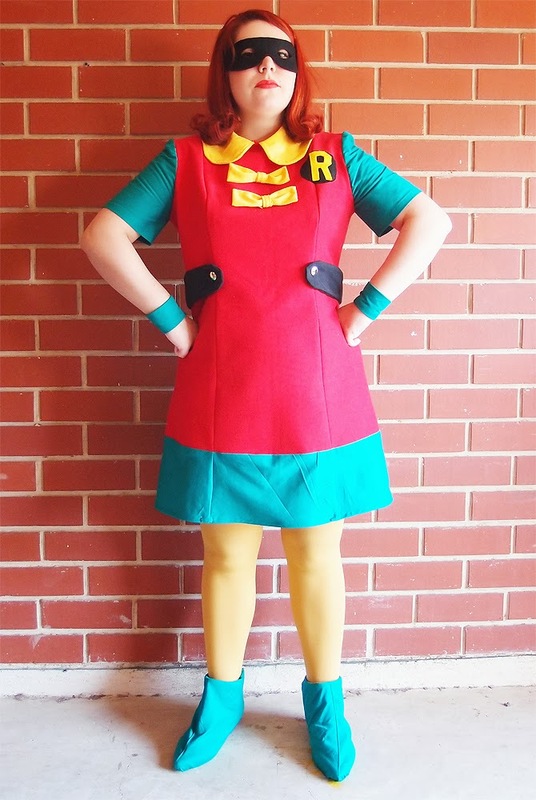 It was a lot of fun interpreting Robin's costume into a dress and I'm so happy with the result (even though I still don't enjoy sewing). I shall definitely be wearing this again at some point. I'll have a post about my second costume up this Wednesday. AHHHHHHHHHHHH ANDI YOU LOOK SO DAMN ADORABLE! I'M FAILING. I'm not sure there are words to describe how utterly amazing this is and that you are for doing it! First off, I am just astounded by your creativity! Then your execution is fabulous! 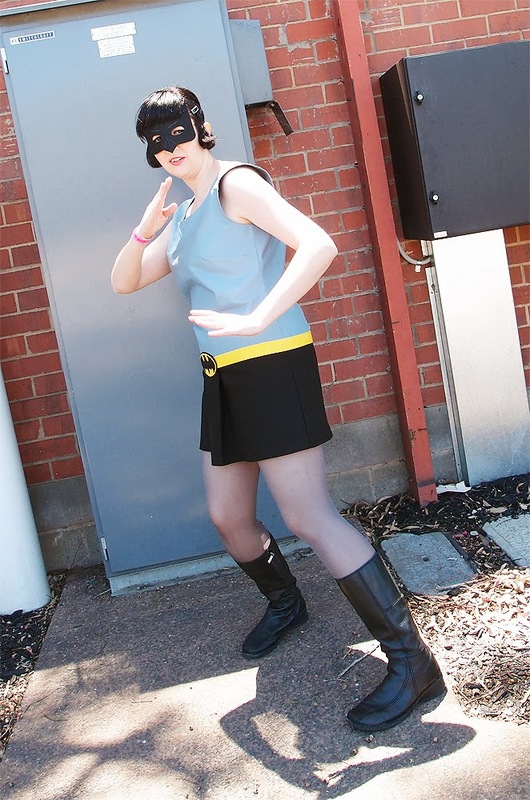 Then to also find another person who loves 60s Batman! YAY! I've loved Adam West as Batman since I can remember. My second Halloween I went as Batgirl, and my dad as Batman, silver tights and all. Oh my gosh. I just love the way that you interpreted the original costumes and made them into something even more awesome. 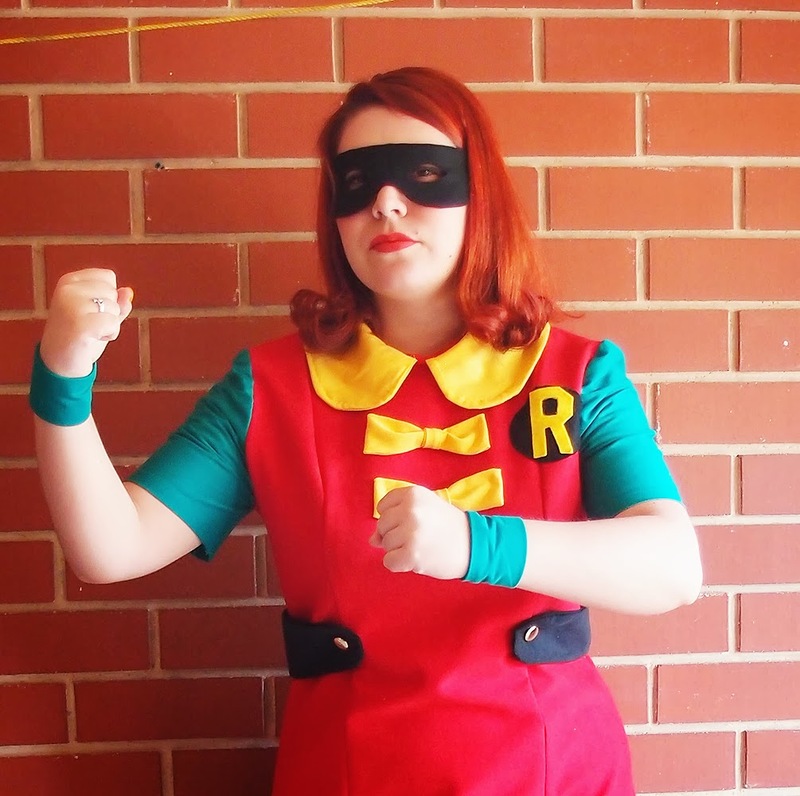 I would happily wear that Robin dress as a day-to-day outfit. You should be very proud of yourself. Seriously, completely awesome costumes, ladies!!! 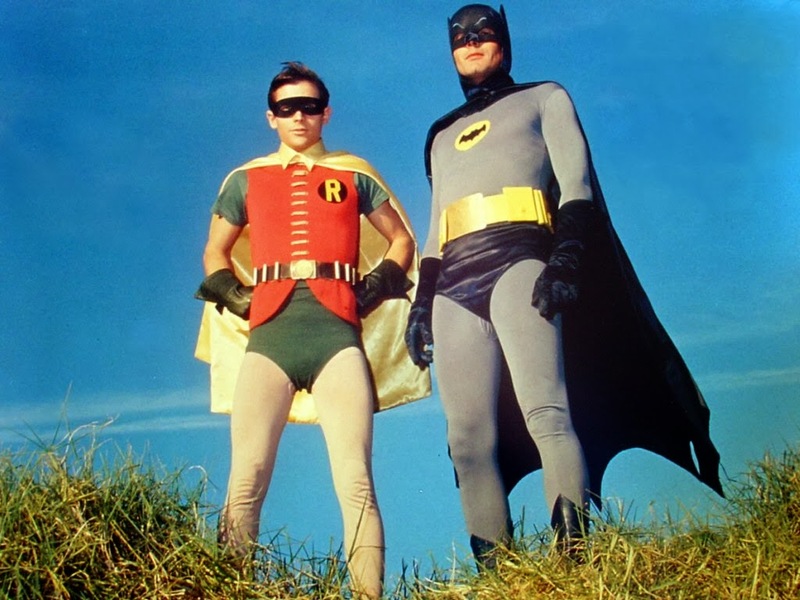 My goodness, this post (and it's great title) made me smile ear-to-ear, fondly remembering countless hours spent watching (reruns of) the 1960s Adam West Batman series as a little girl. You really, really have such a marvelous way with costuming, dear Andi! Um, those are amazing! 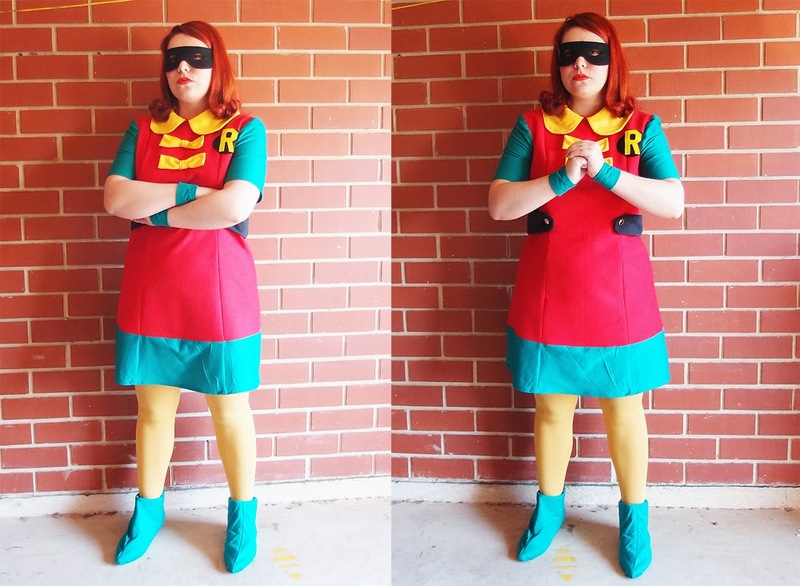 What a great idea for a cosplay, It's great you had a friend to do Bat Ma'am (awesome!) too. Did you make both dresses?